Social responsibility has become a goal for both employers and employees in the business community. Unfortunately, due to sales rights restrictions, we cannot offer Business Behaving Well for sale in your country. Social responsibility has become a goal for both employers and employees in the business community. But what does the term “social responsibility” mean, and what paths must businesses take to make a positive impact on society? 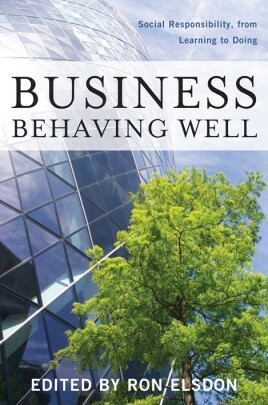 Business Behaving Well provides a rationale and roadmap that will enable businesses to integrate social responsibility into their purpose and operations.